My name is Laurie Nitschke and I am the owner of Essential Health Kneads. I have been practicing, privately, nutritional healing for the last 27 years. My oldest son, when born, was allergic to most foods and all prescription drugs. I had to learn how to use good nutrition, homeopathy and herbs to heal him when he became sick. In 1999, I adopted a 7 year old boy, who was still failure to thrive, weighed only 38 lbs., was severely covered in bruises that would not heal and had many other issues. Through nutrition he was able to stop taking all his prescriptions (depakote, prozac, singular, ritalin, and many others). He would suffer horribly with asthma to the point of having collapsed lungs. He is now a very healthy, happy boy who no longer needs any medication, no asthma issues and no more steroids because of those issues. In 2002 I became very ill and was given one-year to live. Through nutrition and a radical change in my eating I am well and going today. With all the past experience I decided to go back to school in 2003 and obtain my Bachelors of Science degree in Wellness Management with a minor in Health Science through SUNY Oswego, Oswego, NY. I received my degree in 2006. In 2005 I registered and obtained my certificate to be a Holistic Health Counselor from the Institute of Integrative Nutrition in Manhattan, NY. I am now board certified through American Association of Drugless Practitioners as a Holistic Health Practitioner. My practice focus is to find the root of the patients ill health and address the problem, so that the symptoms disappear. I am not a medical doctor so I can not diagnose, treat or cure any disorders. I believe that each of us can heal our bodies with proper nutrition, proper balance and proper focus. I am not anti-medical, however I am against the over usage of prescription drugs that just mask the problem. I do think that living a healthy lifestyle can prevent many of the minor symptoms that people use over the counter drugs for. I do think that essential oils, proper nutrition and nutritional supplementation all have a place in health and wellness, and all can be effective in helping the body regain its healing balance. I look at each patient as an individual. Everyone is different, although there are common threads that connect us all in our search for wellness. I consider each persons journey for better health as a puzzle that we can put together as a team. I'm very serious about your health and helping you to find a lifestyle that can fit your needs and heal at the same time. Laurie's practice involves natural health classes, using essential oils and ionic detox foot bath. Laurie is also very interested in healthy, natural skin care products, for what you put onto your skin affects your health. 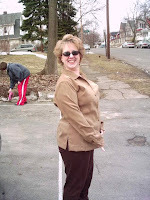 Laurie had a practice in Baldwinsville, NY from 2004-2007, then moved to Ooltewah, TN (near Chattanooga). Essential Health Kneads is a growing and thriving business in the Chattanooga area. Laurie does public speaking about health, wellness issues, essential oils and she writes health articles for American Diversity Report, which is published monthly and occasional for Natural Awakenings. Laurie has a FREE newsletter for anyone interested. For any information or questions call (423) 774-1312 or email: lanitschke@ gmail.com (take out the space).